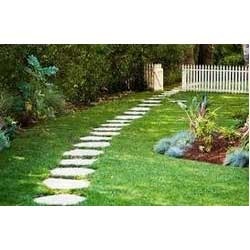 Being the leading names in the industry, we are into exporting and supplying comprehensive range of Stepping Stones and Pathways. Our entire product range add sophisticated look to the environment. We are counted amongst the renowned names in the industry, offering an extensive range of Garden Path landscaping that are acclaimed among the clients for high quality and durable finishing standards. Our entire product range is designed with perfection and add elegant look to the surroundings. We offer them in standard sizes and is delivered in well-defined time. 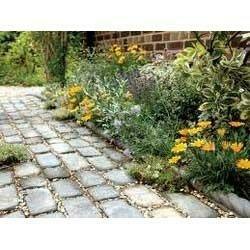 We are the supplier and exporter of wide range of Garden Path Slabs. We offer them in different standard sizes and are weather-resistant. Our entire product range is processed using advanced techniques and methods thereby delivering an exceptional range of products in the global market. With the assistance of experienced professionals, we are able to carve notable position in the industry. Looking for “Stepping Stones and Pathways”?